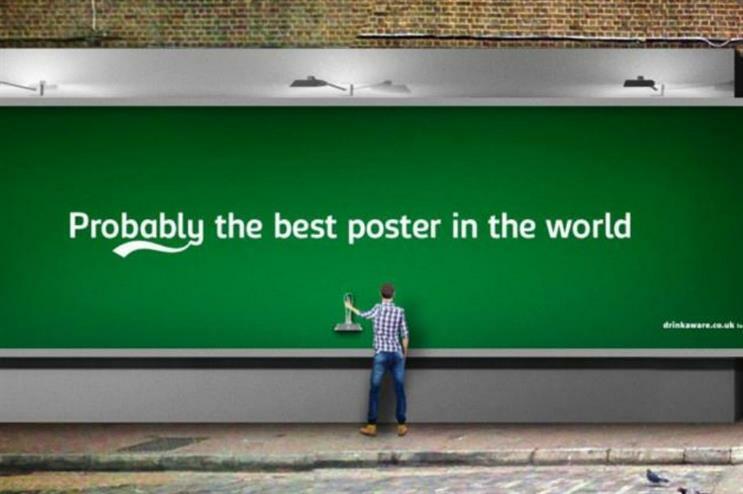 Lager brand Carlsberg has created a poster that dispenses free beer, as part of its 'Probably the best beer in the world' campaign. The poster is located on the side of the Old Truman Brewery in London’s Shoreditch and reads ‘Probably the best poster in the world’. Passers-by will be able to help themselves to a free, cold half-pint of the Danish lager today (8 April), from 1-7pm. Fold 7 has created the installation in collaboration with Mission Media. OMD UK, The Marketing Store and Clifford French are handling the digital media, social media engagement and PR activation respectively. Fold 7 will continue to bring the ‘If Carlsberg did’ strap to life across the year through various channels, including out-of-home, social and digital. Dharmesh Rana, senior brand manager at Carlsberg UK, said: "We want to get the Carlsberg brand in front of as many beer drinkers as possible. To do this, we have to think differently with our approach and can’t just rely on great TV advertising. "‘If Carlsberg did posters’ is one of many ideas that we’ll be developing over the course of the year to ensure that beer drinkers up and down the country see the Carlsberg brand in a new and engaging way alongside TV." Ryan Newey, Fold 7 founder, added: "‘If Carlsberg did’ is an iconic property. Our challenge was to take something that is already so well known and bring it to life in a way that will engage today’s consumer. "Our ambition was to create the world’s best poster, and one that serves beer could certainly fit the bill." The activation has been launched one week after Coca-Cola unveiled what it claims to be the first drinkable billboard in the US.